Monday: Vegetarian chili with sour cream and cheddar biscuits . These biscuits are to die for. I made them with whole wheat flour, and you would never know the difference! Wednesday: Blue cheese and red potato tart Honestly, this was more work than it was worth. Maybe it's because I'm not a big fan of blue cheese...The husband loved it! 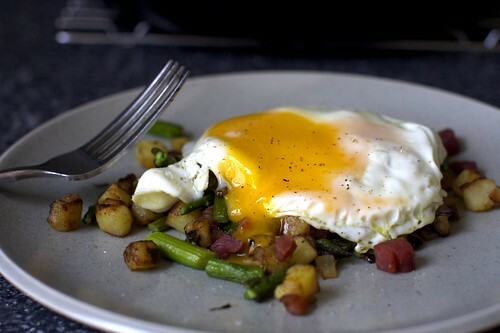 Friday: Asparagus Pancetta Hash -vegetarianized and served with an egg on top. Simply amazing. There wasn't a single bite left in the skillet. Simple with only 3 ingredients. And just delicious!! We had company in from out of town and midterms during the week, so there was less cooking than usual. In other news, I have begun to coupon. I have thought about trying for a year or two, but I have been daunted by the lack of organic coupons. I have decided this time that sure, I might not be able to lower my weekly grocery bill to $10 and get $150 worth of food, but every dollar adds up. This week, I started by saving $5. New recipes you've tried this week? What about coupons? Do you? I linked up at Menu Monday! Looks like a great dish! I read the directions on smitten kitchen (thanks for the reference!) and am interested on how you vegetarianized it. What did you use to replace the pork? Thanks! I definitely coupon! Because I save money on other items, I can afford to buy more produce. So I still get my fill of healthy stuff! I've made that hash, so so yummy! I love your blue wall with the fireplace! That is a beautiful picture! Makes me want to try that dish! I am definitely trying the hash! It looks delish! 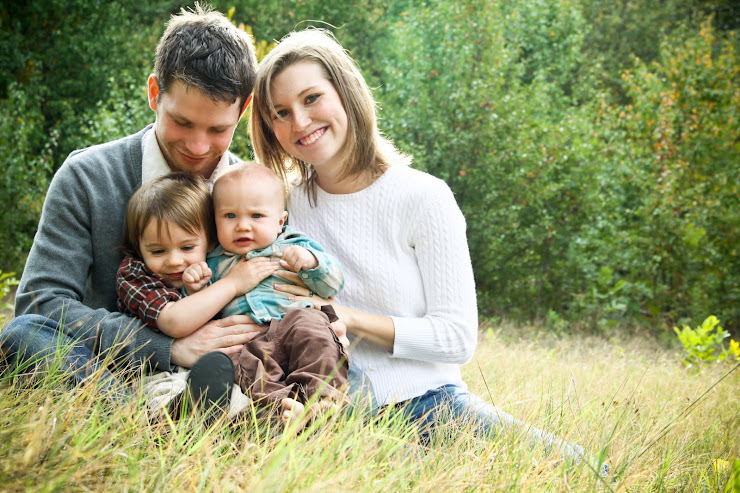 I have tried couponing and you are right - very few are out there for healthy food options. What works for me is to try shopping the B1G1 sales as much as I can. I can usually shave at least 30% off my grocery bill each week. Good luck! I was actually thinking about starting just this morning! Where do you get them? The paper? Those sour cream/ cheddar biscuits have been on my list of things to make from SK!! I'm glad you are as hooked on it as I am! Just went apple picking and now trying to decide what to make. Have you made anything delicious recently with apples besides the standard pie?